Porsche Sequential Shifters SQS & Cartronic Motorsports for North America. This unique conversion uses your original Porsche gearbox to create a sequential shift system. It is the highest quality unit suitable for road, track-day, and race use. Be quicker. Be precise. Virtually eliminate the chance of engine damage resulting from incorrect shifting. Was to develop a method of converting a traditional H pattern shifter to sequential. Thus creating a race car driving experience in a Porsche street car with a conventional synchromesh gear box. 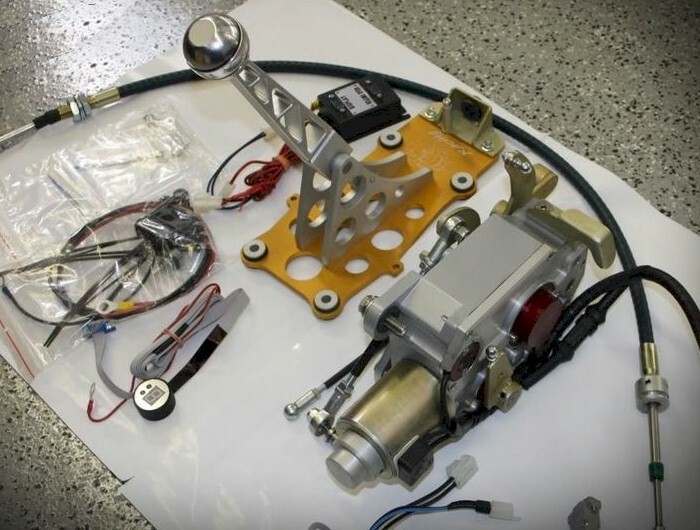 Since its initial development, the shifter has evolved from its original version mounted under the shifter lever to the current generation mounted on the side of the transmission. In the generation 2 version, the other big step forward was the use of an electromagnet to speed up the shift time and to reduce the amount of gear lever travel required to engage the next gear. The current generation has been in production since 2006. The shifter is both simple and easy to operate. With the shifter in neutral, you simply pull the shift lever back to engage 1st gear. The gear lever will always return to the same position after each shift. For each additional upward shift, you pull the shift lever back and for each downward shift you push the lever forward. Both going up and down the gearbox, you must go through each gear sequentially. To engage neutral you must be in 1st and push the lever forward through the D-dent. To engage reverse, you must be in neutral and push it forward through an additional D-dent. 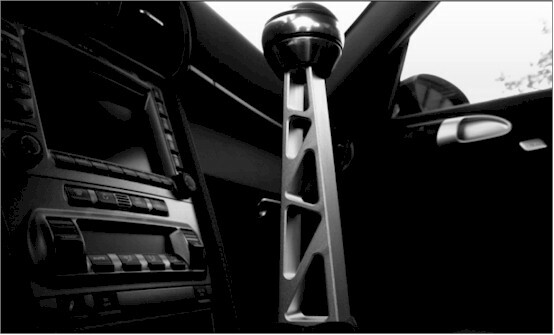 The shifter was originally developed by Cartronic Motorsport in Germany for Porsche to offer as an option in Turbo and GT models. Although Porsche AG funded the development of the Sequential Shifter unit they ultimately chose, for marketing reasons and the upcoming PDK transmission, not to make the Sequential Shifter available as a factory option. But after successful development of the product, Cartronic Motorsports, in conjunction with its manufacturing partner SQS, proceeded to offer the product independently through distributors. Over the last few years, hundreds of units have been delivered to Porsche customers around the world. The unit is quite often referred to as the Oakley Sequential Shifter. This is the brand name that it is distributed under in the UK.